CPA facilitates collaborative research on optimal use of anti-infective drugs as a means to combat antimicrobial resistance. The research projects under CPA will help fill important gaps in knowledge about locally-relevant, real-world hospital practice and ways in which scientific training on appropriate drug use may assist healthcare professionals optimize/increase benefits to the individual patient alongside promoting public health. 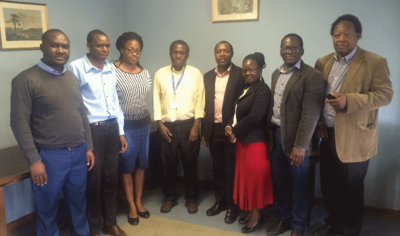 Three PhD students from Zimbabwe, Zambia and Malawi will conduct research in the fields of drug safety, clinical pharmacology, pharmacogenetics and individualized therapy. The project will enable a situation analysis of prescription practices and resistance in healthcare facilities and strengthen transfer of knowledge on optimal and judicious use of anti-infective drugs. scientific training in the field of judicious use of anti-infective drugs, therapeutic drug monitoring (TDM), pharmacogenetics and clinical pharmacology. collection of data reflecting locally-relevant, real-world hospital practice in selected healthcare facilities in African partner countries. initiation and establishment of a network for the coordinated research for appraisal of use and optimization of relevant anti-infective drug therapy in local hospitals. The overall goal of this project is to launch collaborative research and thereby initiate and establish a network for the coordinated optimization of anti-infective drug use. The pharmacogenetic analyses planned will advance awareness of modern medical methods of patient diagnostics into the clinical context. They will investigate in which way/how and if specific genetic polymorphisms in drug metabolizing enzymes existing in the population of sub-Saharan Africa may affect negatively drug exposure in patients, and thereby contribute to the spread of drug resistance. The project will foster international collaboration by enabling knowledge transfer within the area of appropriate drug use. Keeping in mind potential resource constraints, the e-learning will be tailored to guide healthcare professionals by encouraging the safe and appropriate use of anti-infective drug use in hospitals, thereby ultimately enhancing patient safety. The e-learning tool could be further adapted to other healthcare settings. Scope expansion towards promoting sustainability and increased collaborative actions in the dissemination of research approaches. 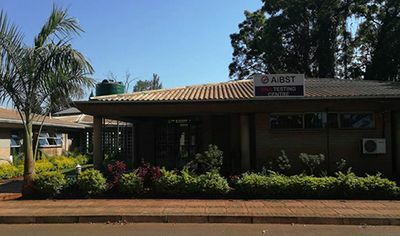 Initiating a collaborative BfArM-AiBST research project to investigate in greater depth relevant polymorphisms associated with drug side effects and drug resistance in countries of southern Africa. Collaboratively increasing awareness of knowledge gaps by improving access to information to better understand unmet needs. Fostering engagement through dissemination of research aims. The documentary film will be devoted to presenting work done under CPA and highlighting activities of collaborating institutions to substantiate all of the above. CPA is therefore creating/facilitating improved research capacities to support personalised pharmacotherapy as a means for counteracting the spread of disease and drug resistance.